Even if your business is local and ‘brick-and-mortar’, you’ll still be using the digital world to promote it. For someone more comfortable with billboard advertising and direct mail, the transition to Internet marketing can be a little confusing. If you’re one of those digital marketing beginners, struggling to promote your business online, here are 10 commandments to live by. You shall have a user-friendly website. It’s understandable that you want to fit all your benefits into the website, but think of it from the user’s perspective. What information do they need to make the decision, and what will just be distracting them? Make your website clean, fluff-free, and easy to find the necessary information on. You shall not ignore mobile users, who visit your website. You have to make your website fit for mobile browsing, because each year more and more people do that. Now that Google will favor mobile-friendly websites more than others, you have another good reason to make your design responsive or build a mobile version of your website. You shall not ignore latest trends & updates in SEO. SEO best practices are not carved in stone: the rules of the game change very often, so you need to follow the updates and modify your strategy accordingly. Remember to attract your user’s attention with visuals. Visuals stand out and grab attention in the Internet world, where people have shockingly short attention spans. So, use videos on your pages, create and spread infographics, come up with sharing-worthy pictures for your social media. Honor your customer and be available for them. Even if you don’t meet your customers face-to-face, you still need to build relationships and be available for new potential customers. People want to know they are dealing with a real person, so answer all inquiries individually and make sure people can contact you in any way convenient for them. You shall not abuse social media. Social media platforms are countless, and if you try to maintain a presence on every one of them, you are doomed to fail. Analyze your audience’s interests and preferences, and focus on the platforms that your target customers actually use. You shall not focus on traffic instead of conversions. Traffic matters, but a) irrelevant traffic is not bringing you any business and b) if your website doesn’t convert visitors into buyers, all the traffic is in vain. So, make sure you are bringing potential buyers, not just anyone, to your website, and make sure your website is persuasive enough to make them stay and buy. You shall not ignore analytics and tracking. Test, track, and analyze – this is the only way to see which campaigns work, why they don’t, why people leave your website, and so on. Without this knowledge, you are wandering in the dark. You shall not get overloaded with marketing information. It is a good idea to learn more about digital marketing, but it doesn’t mean you should be reading every source you can find. It is easy to lose clarity and focus when you are overloaded with information, so choose a few most credible sources and learn from them. You shall not rush into marketing without a plan. Rushing headlong into digital marketing can cost you a lot of time and effort that don’t bring any results. Instead of trying to be everywhere for everyone, do your research and plan what marketing tools and techniques will work best for your audience. 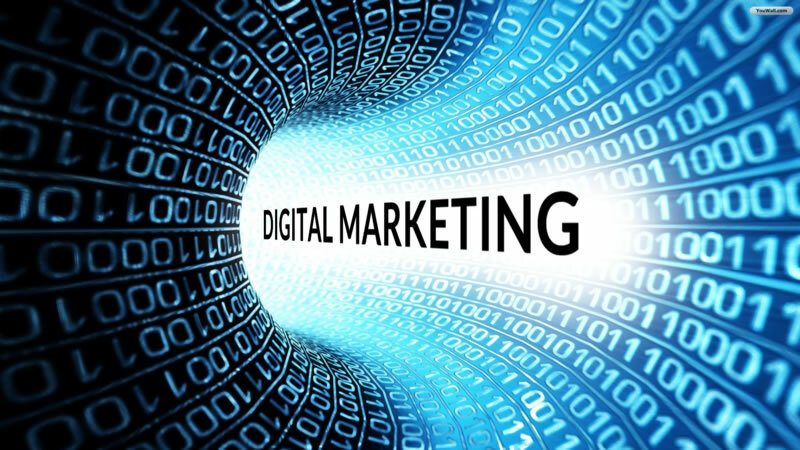 Digital marketing can be overwhelming for beginners. Hope these 10 commandments will help you navigate it!